Our goal is to make your vision a beautiful reality. The Landscaping Company offers full service, quality landscaping services. From initial design and planning, to complete drawings, and through every step of the construction process, our goal is to make your vision a beautiful reality. Our designs are one of a kind thanks to our great team of designers and their ability to work with customers to achieve a unique design that fits their needs. The Landscaping Company is a full-service landscaping company which provides full design and consultation services. This gives our customers peace of mind knowing that we're fully responsible and accountable for the success of your landscaping project. When you contact The Landscaping Company, we'll meet you for a free on-site consultation and provide a detailed landscaping plan including detailed drawings, timelines and budgets. Whether it's a secret garden, plantings, new construction, new lawn, flowers, trees, plants or irrigation, we work with our clients from the initial design to completion of the project. Our staff is on site to ensure your landscape is completed properly and that your vision is fulfilled. Since 1999, The Landscaping Company has grown to become one of the most reputable landscaping companies in Edmonton, Fort Saskatchewan, and surrounding areas. Our landscaping construction capabilities, experience, and exceptional craftsmanship set us apart from other landscaping companies in the industry. We are friendly, professional, experienced and knowledgeable. Be sure to check out our past projects in the gallery - our work speaks for itself! The Landscaping Company offers a full range of hardscape possibilities. We install pavers and walls from Expocrete and Barkman Hardscapes. We can design and install driveways, walkways, patios, retaining walls, garden walls, stairs and we now offer built in BBQ's and kitchens. We work with a wide variety of natural stone as well. We are now a distributer of Barkman Hardscape Products. Stone landscaping is one of the best investments you can make in your property. With a wide range of stone landscaping options available, homeowners can save money by eliminating countless hours of maintenance time that comes with traditional alternatives like grass or wood. 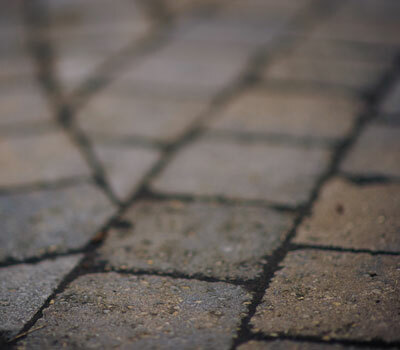 The Landscaping Company will work with you to integrate stone into your landscaping environment - we specialize in stone driveways, walkways, patios, retaining walls, garden walls, stairs (we even offer built in BBQ's and kitchens!). We work with a wide variety of natural stone and are an exclusive distributer of Barkman Hardscape Products. Our landscaping crews are professionally trained and bring a refined sense of quality to our stone landscaping solutions. As a full-service landscape construction company, we'll get the job done from start to finish with the simplicity of dealing with only one contractor. Be sure to check out our past projects in the gallery - our work speaks for itself! If you want a water feature in your landscape, we can design and build into any yard. We build ponds, waterfalls, pond-less waterfall, and bubblers. The process of integrating a water feature (such as ponds, waterfalls and bubblers) within your landscaping project begins with proper consultation. During our free on-site consultation, we'll discuss your design ideas and deliver a written plan including timelines and budgets. As a full-service landscaping contractor, The Landscaping Company has the experience and capacity to integrate water into new or existing landscaping environments including patios, retaining walls, walkways, etc. We specialize in ponds, waterfalls, pond-less waterfall, and bubblers. Be sure to check out our past projects in the gallery - our work speaks for itself!